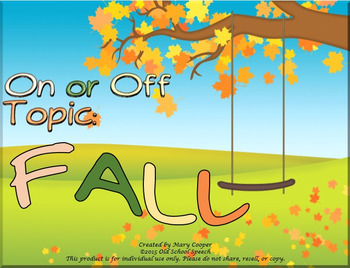 Teach students the terms "On Topic" and "Off Topic" with a Fall Theme. Includes 8 pairs of cards. Put the cards in 2 stacks. 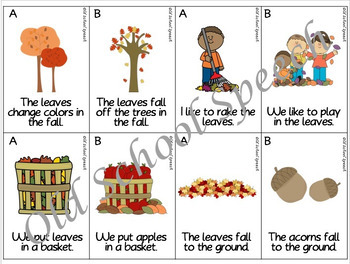 The student determines if the "B" cards are on/off topic and provides an explanation.